On May 1, Congress announced that a bipartisan deal had been brokered to fund the federal government through the remainder of fiscal year (FY) 2017. The omnibus appropriations bill includes 11 individual appropriations bills and keeps the government operating through September 30, 2017. Should the bill pass this week, the final, much-delayed result for FY 2017 will be mostly positive for social and behavioral science research. Compared to where we have been in recent years and with all of the unknowns surrounding the Trump Administration’s position on science funding, this outcome is about the best we could have hoped for. Read on for COSSA’s full analysis of the FY 2017 omnibus appropriations bill. The latest Why Social Science? guest post comes from Dr. Courtney Ferrell Aklin and Dr. Eliseo J. Pérez-Stable of the National Institute on Minority Health and Health Disparities (NIMHD) at the National Institutes of Health (NIH), who write about how the social and behavioral sciences help us understand the social determinants of health and address health disparities. Read it here and subscribe. On April 18, COSSA launched a new series of Congressional briefings as part of its Why Social Science? campaign. 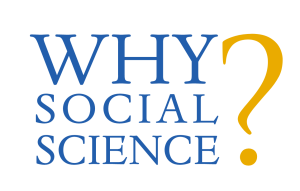 The event, Why Social Science? Because Understanding Markets Can Save Lives, featured a discussion with renown economist and Nobel Laureate Alvin Roth of Stanford University. The briefing series aims to highlight the many ways social and behavioral science research positively impacts our everyday lives. Dr. Roth’s talk, Markets and Marketplaces: Making Markets Work, showcased the various ways markets—commodity markets, matching markets, and those that fall in between—impact our daily lives, from the New York Stock Exchange to dating apps like Tinder and eHarmony to ride-sharing apps to Internet search results. Knowledge about markets can also be applied to complex societal challenges, such as kidney transplantation. Dr. Roth outlined how he was able to apply his theories in matching markets to develop a system of kidney exchanges in which incompatible patient-donor pairs find compatible kidneys for transplantation. His innovations have translated into thousands of lives and millions of dollars in health care costs saved, and earned him the 2012 Nobel Prize in Economics. Video from the briefing, as well as Dr. Roth’s slides, are available on the COSSA website. COSSA thanks Representative Eddie Bernice Johnson and her excellent staff for helping to facilitate the event, and SAGE Publishing for its generous financial support. On April 21, COSSA submitted testimony to the House Appropriations Subcommittee on Commerce, Justice, Science, and Related Agencies for fiscal year (FY) 2018. The testimony calls for increased funding for the National Science Foundation (NSF), National Institute of Justice (NIJ), Bureau of Justice Statistics, and the Census Bureau. You can read this and other statements on the COSSA website. On April 25, the National Institutes of Health (NIH) Office of Behavioral and Social Sciences Research (OBSSR) hosted its 10th annual celebration honoring Matilda White Riley’s influence in social and behavioral sciences conducted and supported by the NIH. In 2016, OBSSR renamed the celebration Real Life, Labs, Research: Matilda White Riley Behavioral and Social Sciences Honors. The ceremony honors a “who’s who of behavioral and social science research,” noted current OBSSR director Bill Riley (no relation). Mark Hayward, Professor of Sociology, Centennial Commission Professor in the Liberal Arts, and director of the Population Health Initiative at the University of Texas at Austin, gave this year’s Matilda White Riley Excellence Lecture, entitled: “Reimagining the Dynamic Association between Education and U.S. Adult Mortality in a Fast Changing Policy Environment.” A common thread in Hayward’s work includes “understanding how socioeconomic status— especially education—as well as gender, marital status, and race/ethnicity shape health inequalities in later life. He has also explored the role of behavioral factors in health and health disparities including nutrition, body weight, and tobacco use.” The celebration was also expanded to include an early stage investigator paper competition. This year’s Early Stage Investigator awardees included Erika Fuchs, University of Texas Medical Branch; Emily Hohman, Pennsylvania State University; Frank Infurna, Arizona State University; and Jacqueline Torres, University of California, San Francisco. The winners of the paper competition also presented their research. A videocast of the 2017 celebration is available here. The National Science Board, which is the policy-making body of the National Science Foundation (NSF), released a new policy brief featuring an interactive infographic tool allowing policymakers, educators, students, and others to assess career opportunities for those with doctoral degrees in science, engineering, and health fields. The interactive webpage also allows users to see the number of people with doctorates employed in business, government, and academic jobs and how career paths change over time. The tool can be found here. The U.S. Preventive Services Task Force (USPSTF) is accepting nominations for new members. The Task Force, which is administered by the Agency for Healthcare Research and Quality (AHRQ), makes evidence-based recommendations about the effectiveness of various clinical preventive services, including screening, counselling, medication. 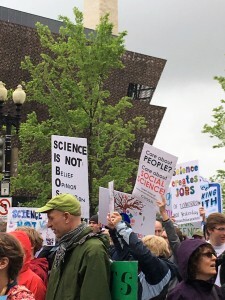 Candidates are particularly sought with expertise in public health, health equity, applying science to health policy, behavioral medicine, and communication of scientific findings to multiple audiences. Nominations are due by June 15, 2017. More information is available in the Federal Register notice. The National Academies’ Division of Behavioral and Social Sciences and Education (DBASSE) is hosting a two-day workshop on Graduate Training in the Social and Behavioral Sciences on June 8 and 9. The workshop is sponsored by the National Science Foundation and the National Institutes of Health and will analyze the current employment of PhDs in the social and behavioral sciences, the future of the social and behavioral science workforce, and other relevant topics. A tentative agenda can be found here. Register today.